A public visitation for the late U-S Representative John Dingell will take place today from 11am until 8pm at the Ford Community and Performing Arts Center in Dearborn. The funeral will be Tuesday at Divine Child Catholic Church. Former Vice President Joe Biden will speak at the funeral mass. Later tomorrow, Dingell’s casket will be flown to Washington D-C where a motorcade will drive it past the U-S Capitol. A 2nd funeral mass will be held on Thursday at the Holy Trinity catholic Church in Georgetown. 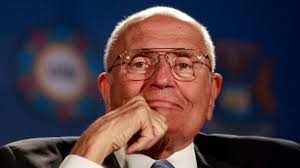 Burial for DIngell, who served in the Army during World War Two, will take place at Arlington National Cemetery.